If you're anything like us, you're cranking out Atlanta, GA rapper Gucci Mane's latest album, The Appeal: Georgia's Most Wanted, non-stop in your pimped-out ride. If you're at all worried that you might burn yourself out on his current collection though, the rapper is about to bless you with a rare treat: his debut album, La Flare. Recorded in 2001, the set hearkens back to a time before the MC was on everybody's radar. The early effort features 14 cuts, and while initially released in a small run of 1,000 CDs, HipHopDX points out that 101 Distribution has just put the album up for sale on its website as a digital download. This clearly pleases King Whoa, who produced the record for Mane nearly ten years ago. "We went through 101 Distribution because 101 was in a great position and we decided to put it out now because I've been holding it for nine years," the producer explained. "Gucci was hungry and just coming into the game, and it's some of his rawest material ever. I felt the streets needed to hear that -- the raw and real Gucci. It's his baby, and the same stuff he was talking about back then is the same stuff he's talking about now. He hasn't changed. It's the same ol' Gucci." 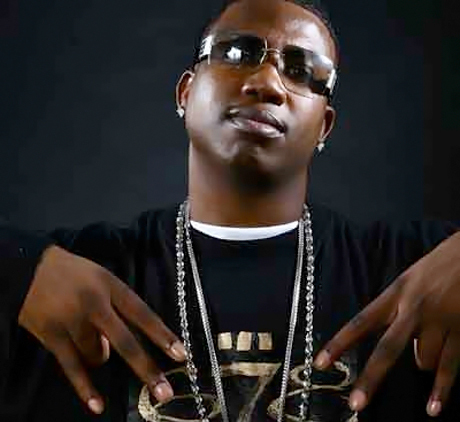 All right, hip-hop fans, download La Flare as quick as you can before you hop in your vehicles. Just make sure you're driving on the right side of the street. Take it from Gucci Mane: that will land you in some hot water.